Find out what's available from our range of OKI printers and copiers. Call one of our OKI specialists today. OKI printers and copiers perform to an exceptional standard for a number of tasks. Award-winning digital LED technology enables them to continuously print at a high capacity without sacrificing print quality. OKI printers and copiers can cater to a wide variety of print requirements. Document-intensive processes from capture to distribution are simplified with an easy-to-use interface. Copysonic service agreements can be custom-designed to suit your photocopier's usage. Ongoing maintenance checks and toner refills can be scheduled to keep your model running seamlessly. We stock a massive range of OKI printers that include new, ex-demo, and refurbished models. There's bound to be an OKI printer that meets your office's budget and workflow expectations. Our range of new photocopiers offers the very latest in photocopier and printing technology. New features include cloud connectivity and digital LED printing technology. Our new OKI printers are available for rent if you're after a less permanent option. 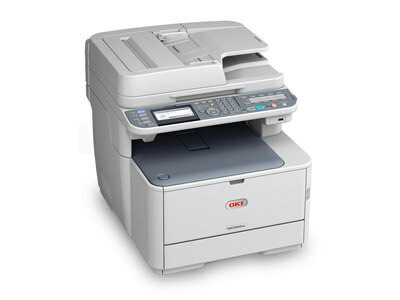 We refurbish and maintain our own range of used OKI printers and copiers. That's why we can guarantee any used model is in great working condition when you purchase it. Flexible payment plans are available if you choose to rent any of our used OKI printers and copiers. Since 1992 we've provided Melbourne offices with industry-leading brands such as OKI. We'll consider your needs and provide a model and payment plan that caters to your budget. Ongoing repairs and maintenance can be covered by a Copysonic service agreement. All our repair technicians have a minimum 15 years of experience working in the industry. Renown for their reliability, OKI printers and copiers won't let you down. Contact one of our OKI specialists to find the perfect model today. Contact us on [phone] to start the discussion about your office's needs and expectations. A face-to-face meeting can be arranged as well. Our specialists will assess your needs and provide you with a few quotes on photocopier models available. Our suggestions are based on your budget and workflow expectations. After deciding on which model you prefer, flexible payment options can be discussed. Suitable finance can be arranged for a new model or, you can choose to rent a model instead. Our technicians will confirm a date with you to deliver and install your new photocopier. Your new OKI model will be installed and integrated with your office's network. Your new OKI photocopier is ready! Your new OKI photocopier is ready for everyday office use. Our technician can guide you through the basic functions of your new model before handover is complete. Can I purchase a new or used Oki photocopier from Copysonic? New and refurbished OKI printers and copiers are available to purchase through Copysonic. Contact one of our specialists on [phone] to see which models are available. Can I rent an Oki photocopier model through Copysonic? Yes, you can. 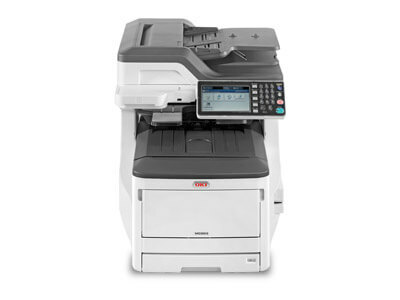 We offer an extensive range of new and used OKI printers that are available to rent. Can you repair and service OKI printers and copiers? We can provide an OKI repair service for all models we sell and lease. Our repair technicians have access to genuine parts. Our technicians will ensure your OKI will be repaired and running in the same condition it was in before it malfunctioned. What type of warranty can you provide for an OKI printer? All OKI purchases and rentals come with a 12-month warranty. This warranty can be increased for up to five years with a service agreement that also covers parts, labour, and toner refills. Fill out your details below, and we'll answer your questions about our range of OKI printers.